The Centre for the Study of Co-operatives and the Johnson Shoyama Graduate School of Public Policy (JSGS) are pleased to announce the appointment of Dr. Marc-André Pigeon as the new director, effective January 1, 2019, for a five-year period. The centre offers thanks to previous director, Murray Fulton, for his leadership since 2014. Fulton, director of the JSGS’ Saskatoon campus, will continue to work alongside Pigeon at the centre. 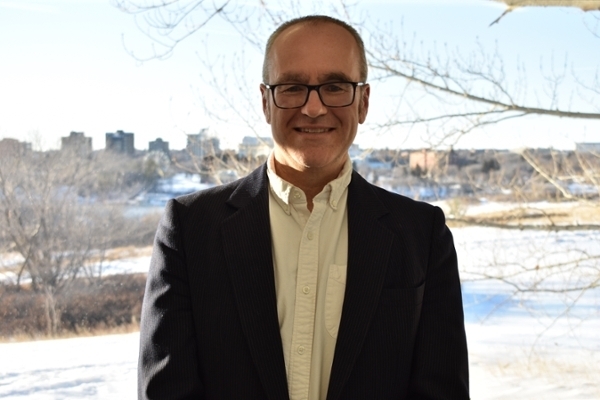 Saskatoon, SK – The Centre for the Study of Co-operatives and the Johnson Shoyama Graduate School of Public Policy (JSGS) are pleased to announce the appointment of Dr. Marc-André Pigeon as the new director, effective January 1, 2019, for a five-year period. The centre offers thanks to previous director, Murray Fulton, for his leadership since 2014. Fulton, director of the JSGS’ Saskatoon campus, will continue to work alongside Pigeon at the centre. Pigeon joined the JSGS on September 1, 2018, as a JSGS assistant professor and a strategic research fellow with the centre. As a master’s graduate from the University of Ottawa and a PhD graduate from Carleton University, Pigeon’s academic background is in economics as well as communications studies. He has worked in a number of economics and policy-related positions, most recently servings as assistant vice-president of public policy at the Canadian Credit Union Association. He has also served as interim-vice president of government relations at CCUA, as a special advisor and senior project leader at the federal Department of Finance, and as lead analyst on several federal Parliamentary committees including the House of Commons Standing Committee on Finance, the Standing Committee on Public Accounts, the Standing Committee on Banking, Trade and Commerce, and the Standing Committee on Agriculture and Forestry. Dr. Pigeon worked as an economic researcher at the Levy Economics Institute of Bard College and started his career as a financial journalist at Bloomberg Business News. Pigeon has spent his working life in and around academia, policy development and co-operatives/credit unions. His academic research interests also include the study of co-operatives, behavioural economics/psychology, income distribution, money and banking, and fiscal and monetary policy.